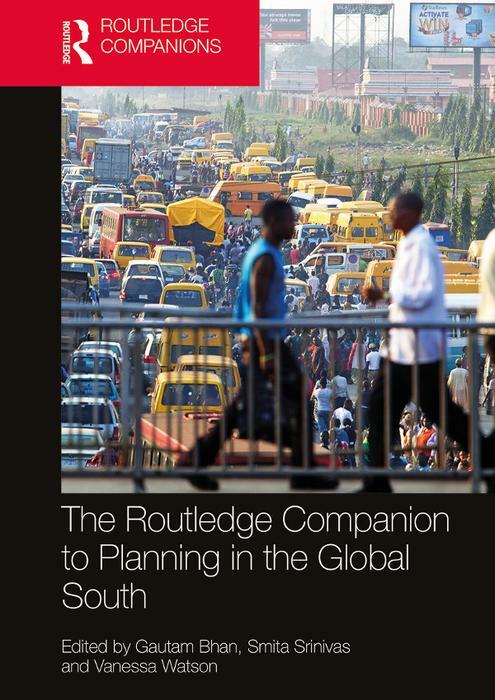 The Routledge Companion to Planning in the Global South offers an edited collection on planning in parts of the world that, more often than not, are unrecognised or unmarked in mainstream planning texts. In doing so, its intention is not to fill a ‘gap’ that leaves this ‘mainstream’ unquestioned but to re-theorise planning from a deep understanding of ‘place’ as well as a commitment to recognise the diverse modes of practice that come within it. The chapters thus take the form not of generalised, ‘universal’ analyses and prescriptions, but instead are critical and located reflections in thinking about how to plan, act and intervene in highly complex city, regional and national contexts. Chapter authors in this Companion are not all planners, or are planners of very different kinds, and this diversity ensures a rich variety of insights, primarily based on cases, to emphasise the complexity of the world in which planning is expected to happen. The book is divided into a framing Introduction followed by five sections: planning and the state; economy and economic actors; new drivers of urban change; landscapes of citizenship; and planning pedagogy. This volume will be of interest to all those wanting to explore the complexities of planning practice and the need for new theories of knowledge from which to draw insight to face the challenges of the twenty-first century. 23 | Is there a typical urban violence? Gautam Bhan is Lead, Academics and Research, at the Indian Institute for Human Settlements, Bangalore. He holds a PhD from the University of California, Berkeley, and is most recently the author of In the Public’s Interest: Evictions, Citizenship and Inequality in Contemporary Delhi (University of Georgia Press, 2016). Smita Srinivas is an economic development scholar with a PhD from MIT. She is Visiting Professor, Economics Department and the Innovation, Knowledge, Development Centre (IKD), Open University, UK; Visiting Senior Fellow, International Development Department, London School of Economics and Political Science (LSE); Honorary Professor, Indian Council for Research on International Economic Relations (ICRIER). Her last book Market Menagerie (Stanford University Press, 2012) won the EAEPE 2015 Myrdal Prize. Vanessa Watson is Professor of City Planning at the University of Cape Town (South Africa) and is a Fellow of this University. She holds degrees, including a PhD, from South African universities and the Architectural Association of London and is on the executive committee of the African Centre for Cities.